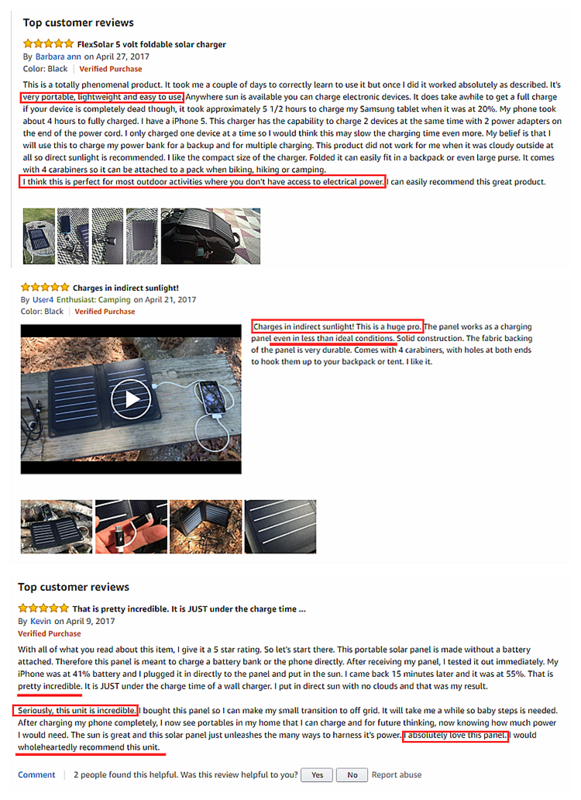 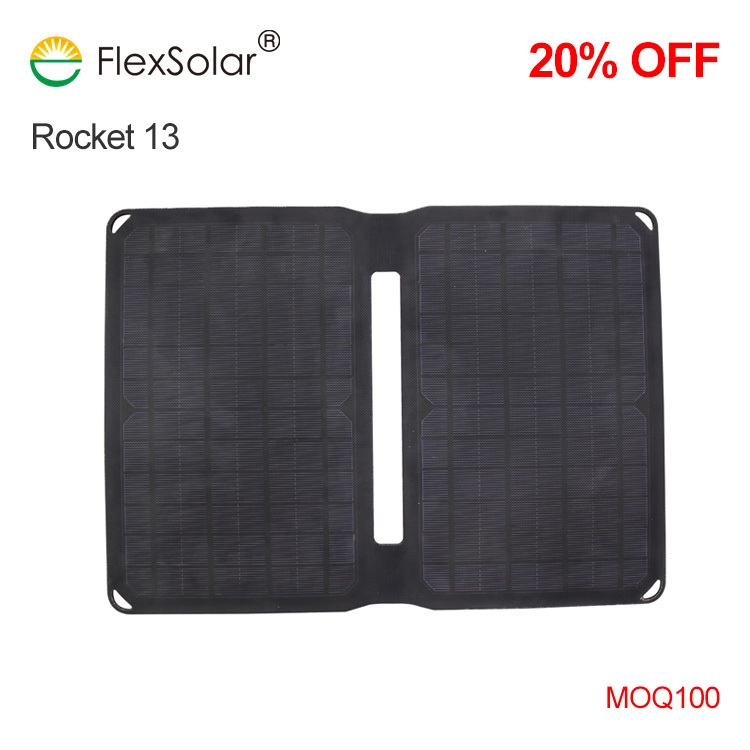 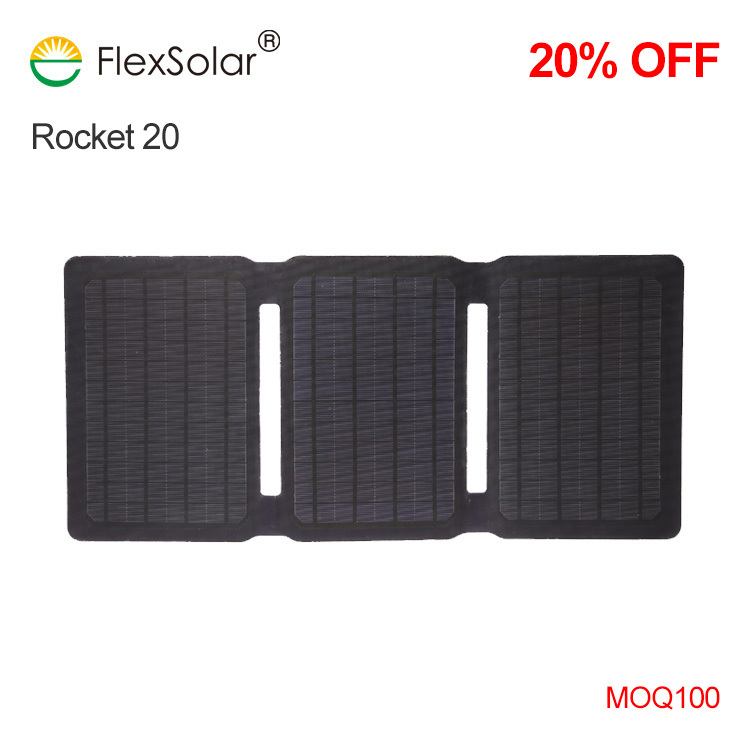 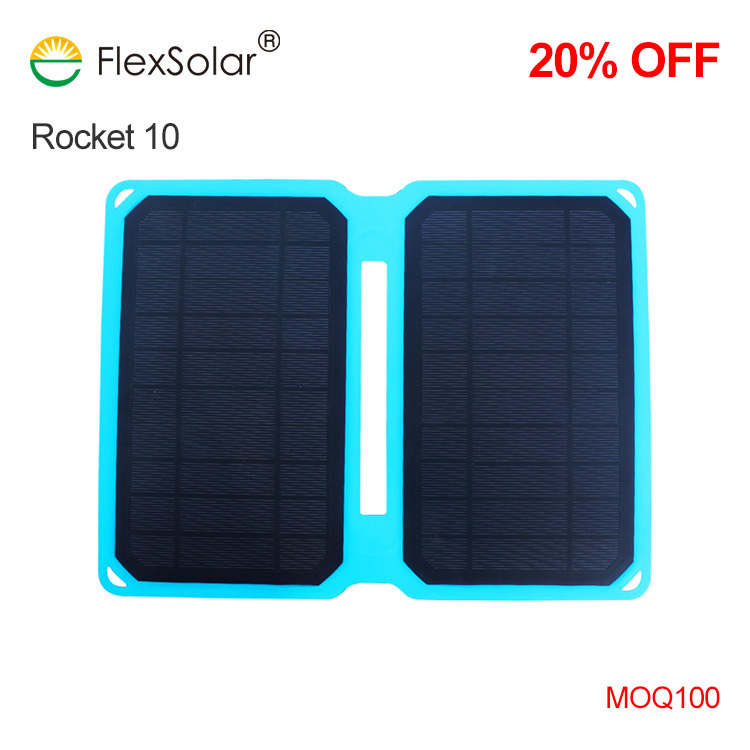 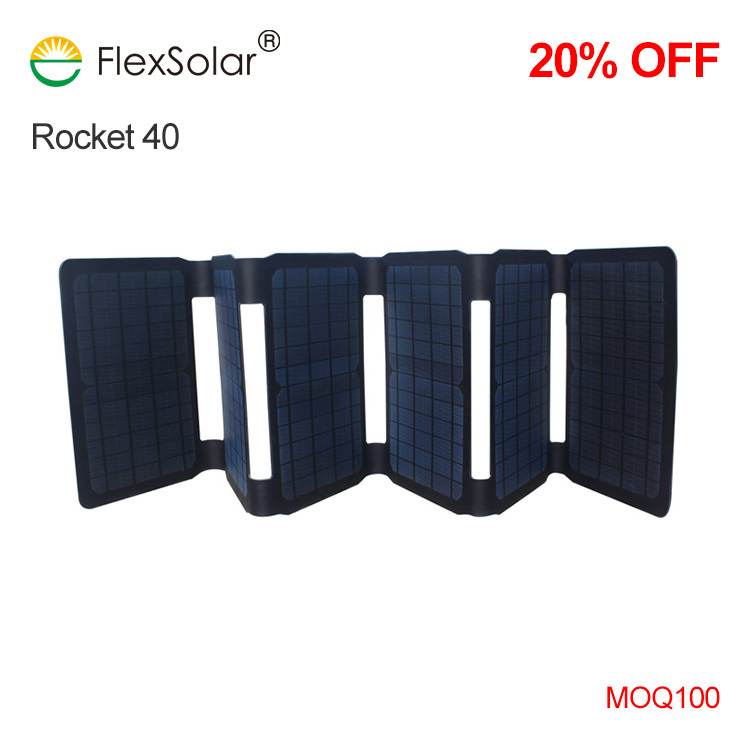 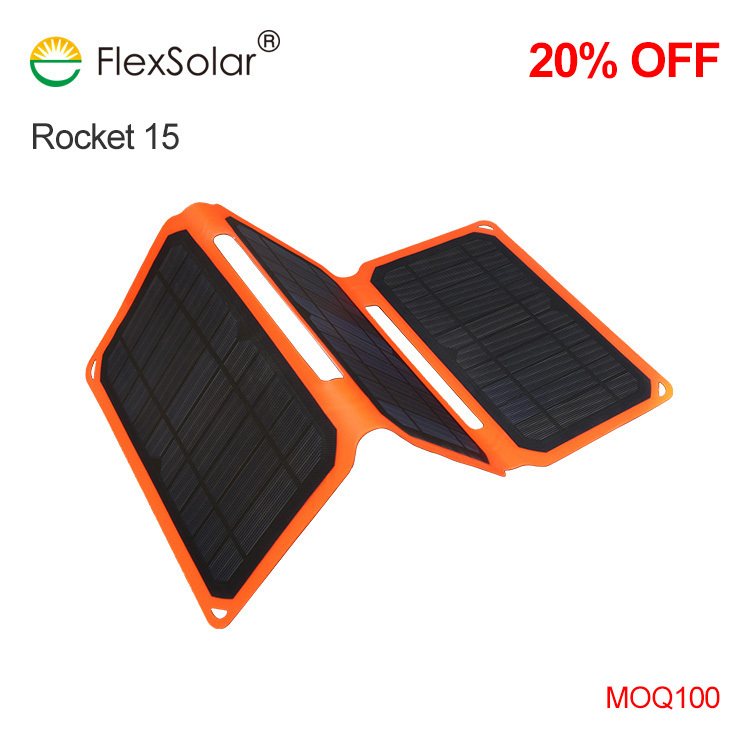 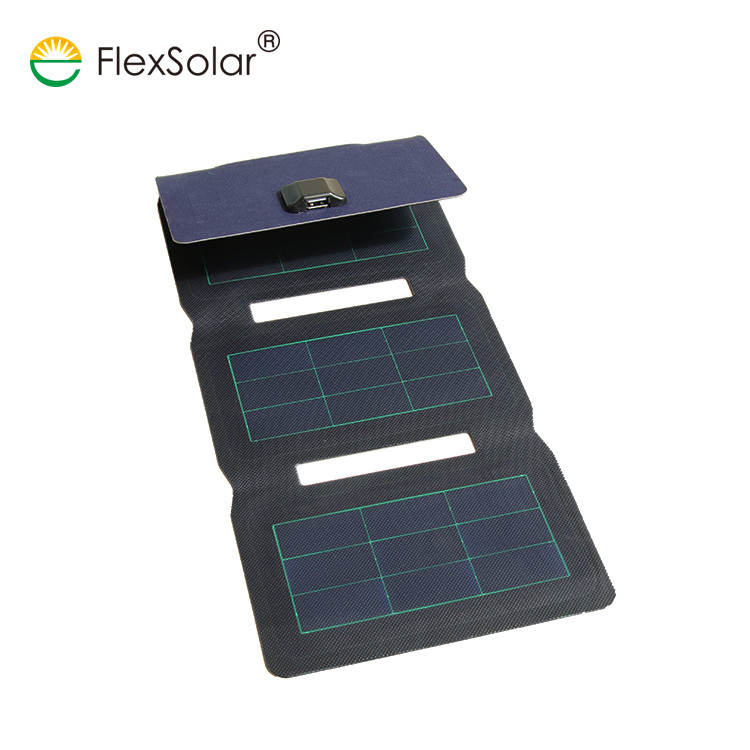 Solar panel with integrated power bank. 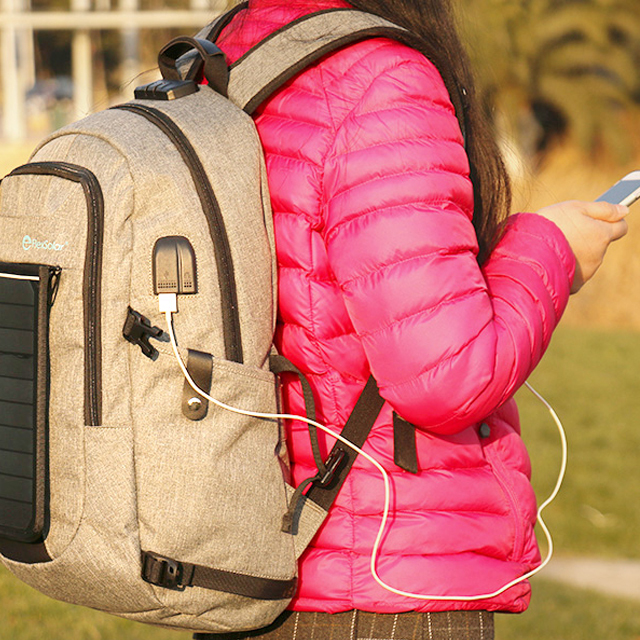 5W solar panel and 3500mah power bank help you store power, help you keep power on the move. 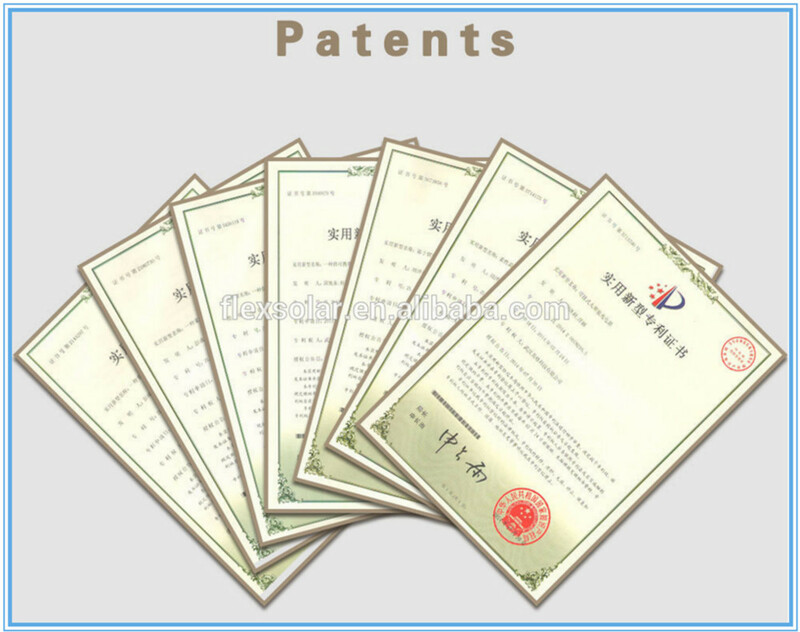 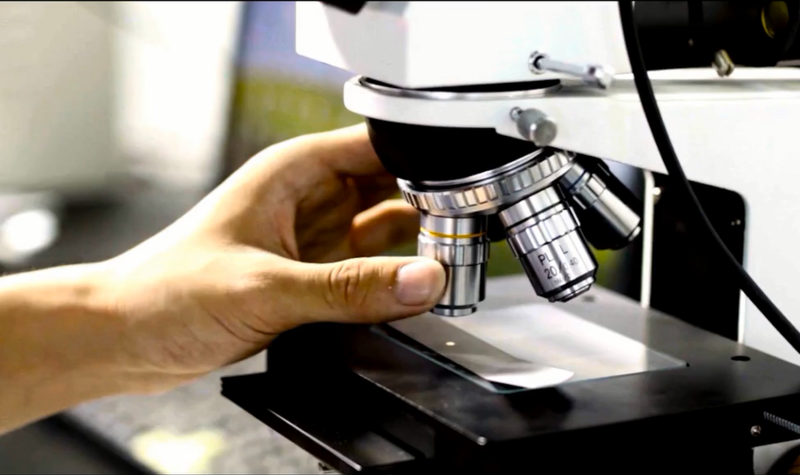 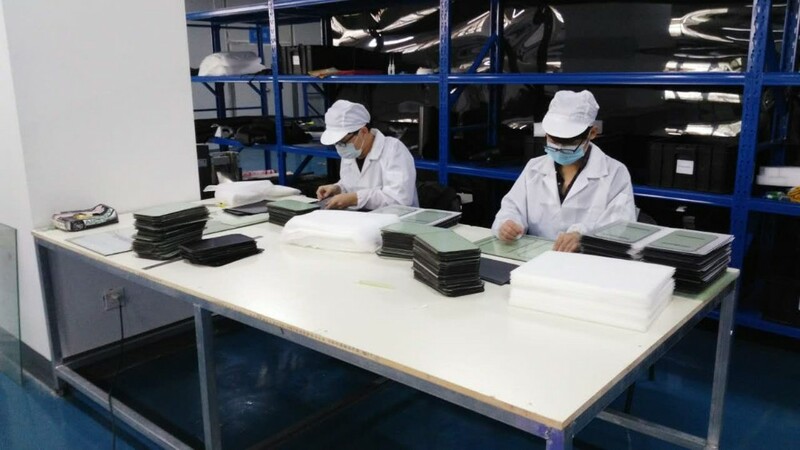 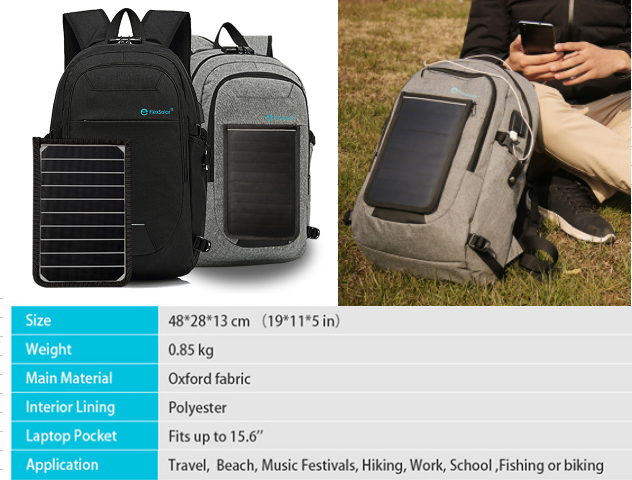 * Waterproof fabric: With the Oxford fabric and Polyester of the solar backpack, good performance of waterproof, do not need to worry if go out even rainny days. 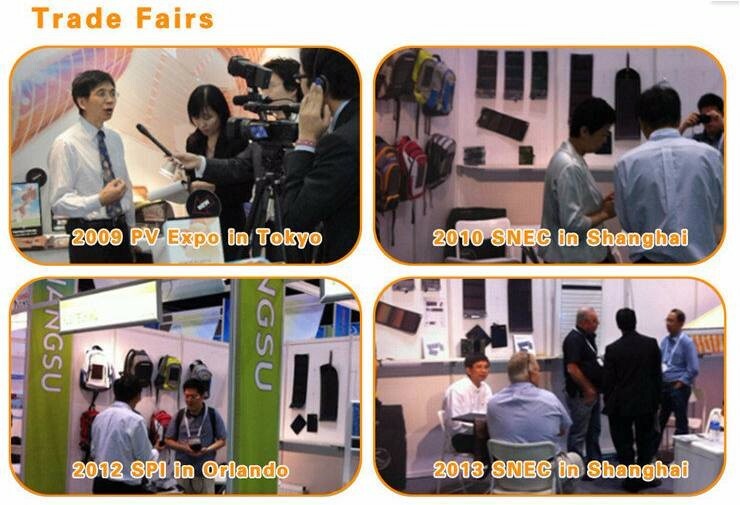 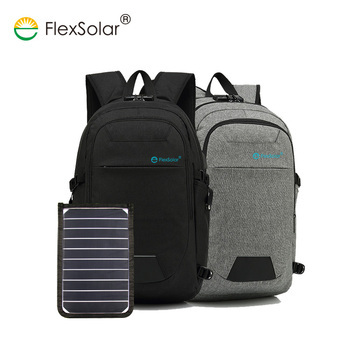 * USB Charging: With the 5.3w, 1A high efficiency flexsolar solar panel for the solar backpack , you can charge your phone, power bank by this backpack, do not need to worry if go out even phone is power off. 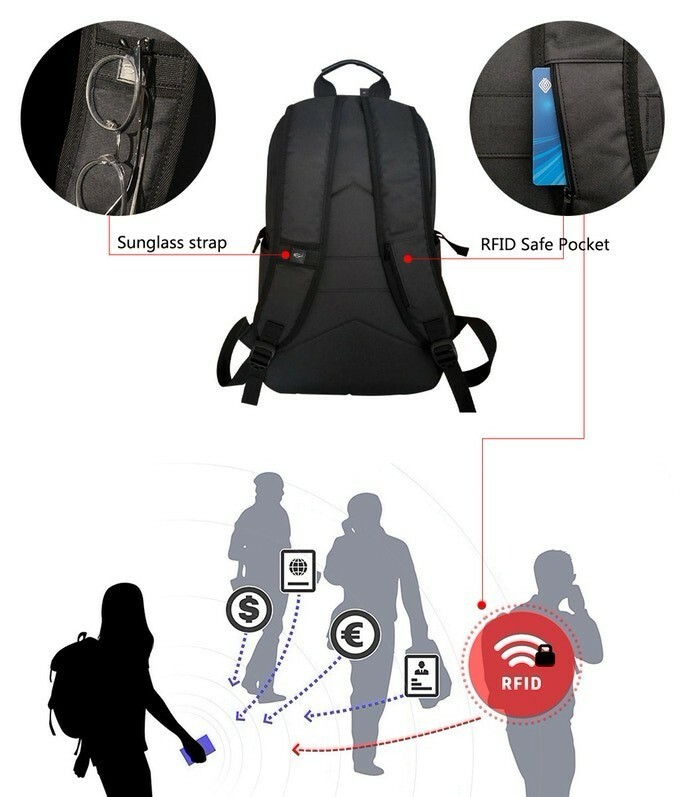 * Humanized and Comfortable design: thicken cotton strap, theftproof pocket, glasses make the solar bacpack convenient, comfortable, suit for outdoor and daily usage. 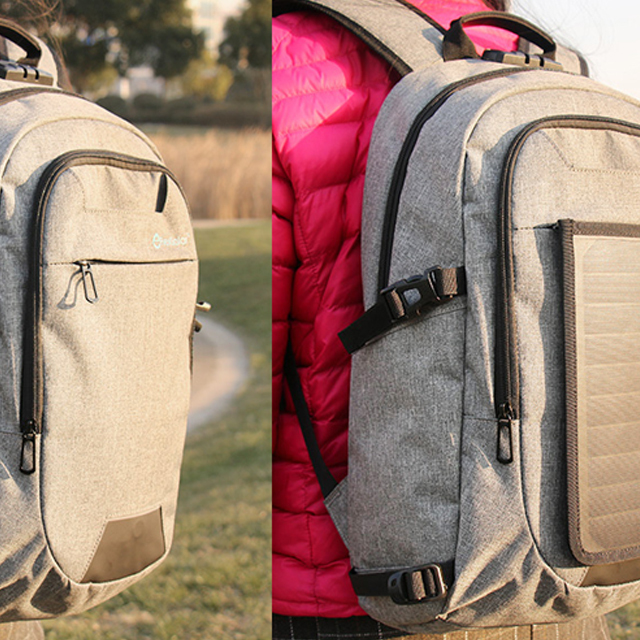 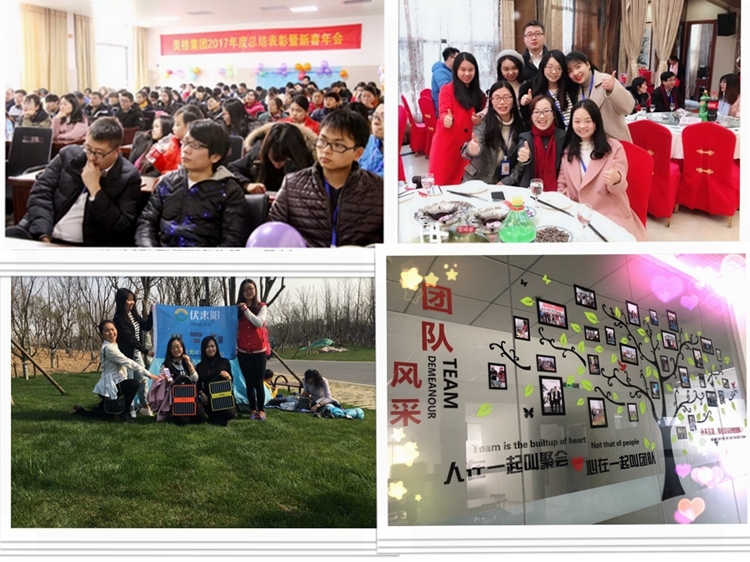 Q: Could you print our company LOGO on the backpack?